Having carpet in your home shouldn’t be a concern for homeowners who want to maintain the carpet areas as clean as possible. Although carpets tend to be a little more difficult to clean, there are many ways that can get rid of the stains once and for all. Very often, accidents happen where someone may spill unwanted substances on the carpet like coffee or tea. Unfortunately, accidents can happen to anyone especially in homes where families have young children. The first step in maintaining your carpet clean is by vacuuming at least once a week and more repeatedly in areas of high traffic. It is important to put great emphasis in areas where people sit. 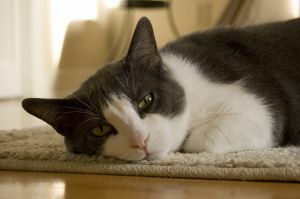 Use baking soda if you want to get rid of bad odors in your household as a cause of carpet wear. The key is to be patient and not become frustrated if it takes extra effort on your part in getting rid of heavy, resistant to be cleaned stains. Luckily, there are a few tricks that can be used to maintain your carpet spotless. When someone spills the carpet with any substance, it is always advised to test the cleaning solution of your choice in an area that is not highly visible. The reason for this is to prevent that your carpet suffers from any further damage in case the cleaning solution causes a discoloration, which may create you an additional problem. When using a cleaning solution, it is best to work from the outside of the stain to the inside to avoid making the stain bigger. If the carpet stays wet with remains of the solution, it is recommended to use a white towel for drying it. Because many spots respond more favorable to certain cleaning solutions, it is important to know what works best in getting rid of a particular spill. For crayons and glues, it is good to use undiluted vinegar applying it evenly to a toothbrush. When it comes to getting rid of grease in your carpet, try to sprinkle cornmeal and let it rest for approximately 5 minutes. Next, use a sponge with vinegar and water to wash the area affected. If that wasn’t convenient enough, utilize vinegar and water solution to get rid of the most common stains such as: ketchup, chocolate, red wine, and coffee. However, some stains may require the help of a professional carpet cleaning company to restore the carpet back to its original state. What is the Safest Way to Remove Candle Wax from Your Carpets? If you are interested in how to remove candle wax from carpets, then this article is for you. Candles are a part of many homes throughout the world. They are enjoyed for their beautiful scent, and for the ambience they bring to a room, whether they are lit or not. The problem with many candles is that they can leave wax spots on your beautiful upholstery and carpets. Once wax gets deep into the fabric of your carpet, it’s possible that it can ruin that area, and it can leave unsightly stains. However, there are tips that you can follow to help remove candle wax without damaging your carpet. Using Heat – It’s possible to remove wax from your carpet with little more than an iron and some napkins. First, you should remove any excess wax from your carpet with a dull knife. Next, you should heat the iron to a low setting and cover up the wax with a couple of napkins. Be careful that the iron isn’t too hot, because it is possible to cause fading in some synthetic fibers. After you have managed to remove the wax, you will probably want to use a mild detergent to remove any residue, and to clean the rest of your carpet. Contact a Carpet Cleaner – If you have a lot of wax in your carpets, or if your carpet is excessively dirty, it is probably a good time to contact a carpet cleaner. Carpet cleaning services not only get your carpets looking like new, they can help extend the overall life of your carpets. If you would rather not try to remove the candle wax yourself, contact a professional carpet cleaner. 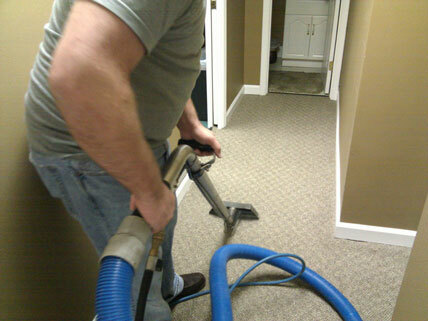 Carpet cleaners deal with all types of carpet mishaps. Author Carpet Cleaning PittsburghPosted on May 18, 2012 July 2, 2017 Categories Industry RelatedTags Candle Wax, tipsLeave a comment on What is the Safest Way to Remove Candle Wax from Your Carpets? Upholstery care and maintenance is a way to keep your furniture looking its best for the longest period of time. Upholstery gives your furniture a more comfortable feeling, and makes each home look unique. When furniture is neglected, over time it will lose its luster, it won’t feel as comfortable, and will start to age and need to be repaired much faster. In this article, we will discuss a few upholstery and maintenance tips that will help you keep your furniture looking great for the maximum time possible. Professional Cleaning – No one wants to pay money to have their furniture cleaned, but having yearly (or every two years) upholstery care and maintenance on your furniture will help it last longer, which will save you lots of money in the long term. Manufacturers Know Best – When it comes to self-cleaning care, always follow the cleaning information provided by the manufacturer. Know Your Fabric – Different fabrics require different cleaning care. Don’t assume that what works best on one type of leather will work on another. Spot Test – To make sure your cleaning solution doesn’t ruin your upholstery, try cleaning a small section first. Choose a small area and apply the solution. 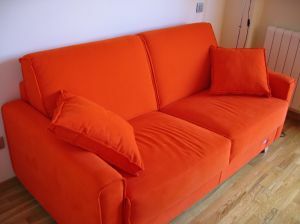 Wait until it is dry and inspect the results before adding the solution to the entire upholstery. Blot Accidental Spills – Your spills should be removed as quickly as possible to prevent staining. Always blot and don’t rub. Use a clean, dry towel to remove the stain. Afterwards, use a wet towel to remove anything that is remaining. Ventilate Your Kitchen – A well ventilated kitchen keeps odors, grease and smoke from dirtying any furniture. Try Arm Covers – Sweaty and dirty arms and hands can quickly soil your upholstery and have it looking old quickly. Use arm covers to protect one of the most sensitive parts of your furniture. If you follow the upholstery care and maintenance tips in this article, you can save money on professional cleaning, and your furniture will continue to look great for much longer. A carpet cleaner is exactly what you need to keep your home and office carpets clean, and to provide a healthy work and leisure environment. Carpets that are not cleaned properly can lead to a variety of health problems, and not to mention, unsightly carpets. In this article, we will discuss several ways for you to keep your carpet looking its best. Although a carpet cleaner in Pittsburgh is your best option, there are still ways you can keep it cleaner for longer periods of time. Change Vacuum Pattern – To make sure you lift stubborn particles, a carpet cleaner recommends that you run your vacuum in different directions. Most people move their vacuum cleaners in the same direction each time they clean, leaving unnoticed particles beneath their carpets. Blot Instead of Rub – Blotting helps remove stains from your carpet, but rubbing them could cause them to spread. Use the correct type of dry or wet towel to apply some pressure to the stain, and remove it. Make certain that you are using a clean towel to avoid returning a stain or dirt particles to your carpet. Use Correct Cleaning Materials – Unlike other types of flooring, carpets are made from many types of material, and the fibers are spun differently on different carpets. The only way to be sure you are using the correct cleaning material is to read the documents that you have from the manufacturer. A carpet cleaner has years of experience, and knows the best cleaning method for each carpet variety. Vacuum Regularly – Vacuum your carpet every other day to keep it cleaner, and to prevent build up of particles that can cause allergies and illnesses. Remember, dust mites and other tiny insects like to hide in your carpet if they enter your home. By cleaning more often, you help to remove them. 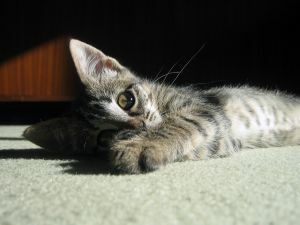 Dealing with Odors – Pet odors can drive you and guests crazy. Try using white vinegar and regular baking soda to remove strong urine odors and stains from your carpet. Now you have learned 5 quick tips to keep your carpet clean. If you take good care of your carpet, it will provide you many years of use. Remember, when you get stubborn stains and odors, it’s much easier to contact a carpet cleaning company to get your carpet looking and smelling like new again. Contact Renew Carpet Care today, and experience what it is like to have a professionally cleaned carpet. A carpet cleaner, or carpet cleaning service, can professionally clean your carpets and have them looking like new. Carpet cleaners use the most modern forms of technology to get dirt, food and other sediments out of your rugs or carpets. They can do this very quickly, and your carpet is usually dry within hours, and you are able to return to a bright looking and fresh smelling carpet. Of course, most people want to avoid a carpet cleaner, and you really don’t need one for a few minor spills. One way to save money is to learn how to prevent carpet stains from happening in the first place. In this quick article, you are going to learn some professional carpet cleaning tips to keep your carpet looking cleaner for a longer period of time. Don’t Rub Spills – When something is spilled on your carpet, the first impulse is to grab a rag or paper towel and try to rub it out. However, this can wear your carpet out, and can actually cause more of a stain. Choosing the Right Carpet Fiber – The first thing that you should understand about how to prevent carpet stains is that a lot depends on what type of carpet you have. When you purchase a carpet, you should ask the store what kind of carpets are available that don’t get dirty as easily. Different carpet fibers retain more dirt and fiber than others. Vacuum Often – You should vacuum as often as you can. 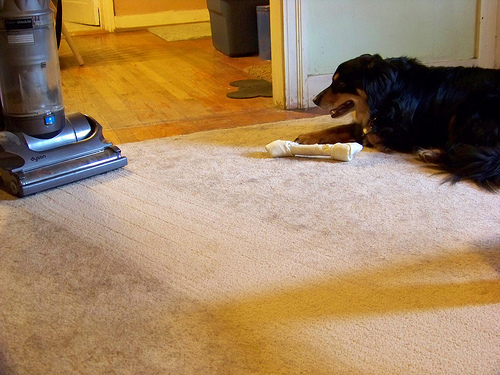 The more kids and pets you have, the more frequently your carpet will need to be cleaned to prevent carpet stains. Don’t Use Spot Cleaners – You’ve probably seen them advertised on TV. Just pour a little on a stain and it magically disappears. However, many of these spot removers actually change the carpet color, and cause permanent stains on your rug or carpet, and shouldn’t be used in the long term. Remember that your carpet helps to camouflage dirt. Once the fibers get moved around and become saturated, your carpet will look dirty. At that time, you need to have your rug professionally handled by a carpet cleaner. If you need a professional carpet cleaner in the Pittsburgh, PA area, you contact Renew Carpet Care today!